LG Electronics Philippines recently strengthened its partnership with Netflix by supporting its latest original shows through an advance screening. To enjoy the experience, LG graced the event with its immersive B8 4K OLED TV. Through this, viewers felt the thrill and excitement, as well as the mind-blowing cinematic appeal of the show Kingdom. In case you missed it, Kingdom is an original Netflix show that follows the journey of a crown prince who is sent on a suicide mission – revealing that his reign is being threatened by zombies. And of course, Netflix and Chill isn’t Netflix and Chill without good atmosphere, impressive device, and nice food. 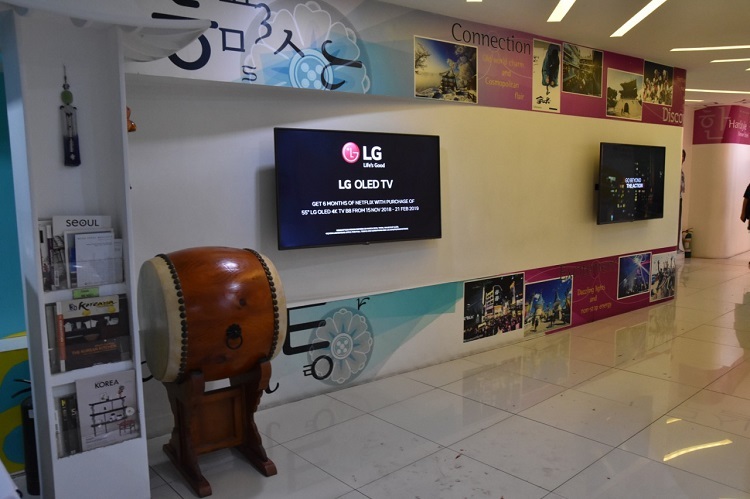 Hence, LG equipped the Korean Cultural Center (KCC) in Bonifacio Global City with LG OLED TVs, while the guests dressed up in a traditional Korean Hanbok. In addition, a traditional Korean feast dinner was also served after the Nara Team performed a traditional Korean Fan Dance. The event was also filled with the country’s personalities, who happened to be the latest brand ambassadors of LG, too. These include PBA player LA Tenorio, actor Gil Cuerva, Bb. Pilipinas 2016 Nicole Cordoves, and Lifestyle, Travel Vlogger Dani Barreto. Meanwhile, to strengthen its relationship, LG Philippines donated five 55-inch UHD 4K TVs, four 55UK6300 TVs, and one 55UK6500 TV to the KCC. Nevertheless, what standouts during the event is the new B8 4K OLED TV that sports 55-inch 4K Cinema HDR display. It is also powered by the Smart Brain a7 Intelligent Processor to allow users have seamless experience. The device is equipped with Dolby Atmos sound system for a true cinematic experience, too. The LG B8 OLED TV is priced at Php89,991. LG also announced that it comes with six free months of Netflix access.